Not sure what all this could possibly have to do with the ocean? Have a listen, and find out how you can be a part of a musical composition involving the oceans. 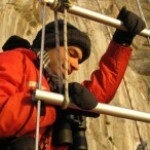 Screenshot from www.oceanvoices.org. 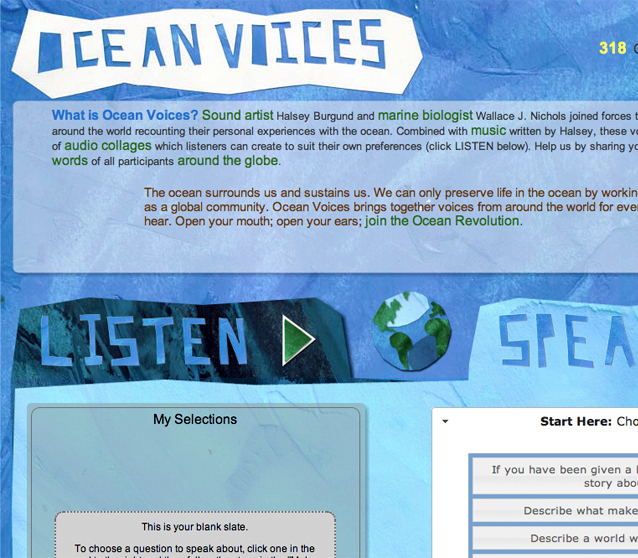 Visit the website, and record your story about the ocean! Credit: Halsey Burgund. 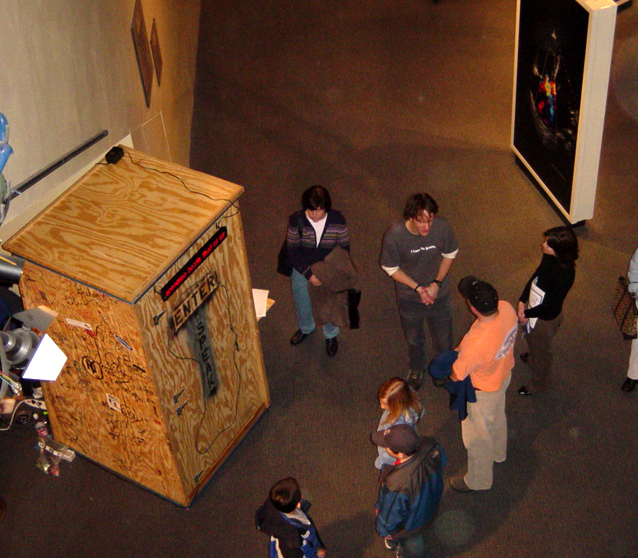 Burgund collecting voices with his Bring Your Own Voice recording booth at Boston's Museum of Science. 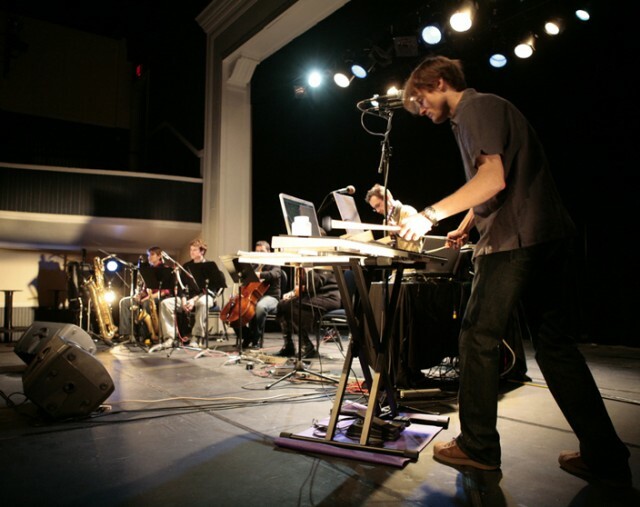 Burgund's music combines live performance and pre-recorded voices and sonic elements. 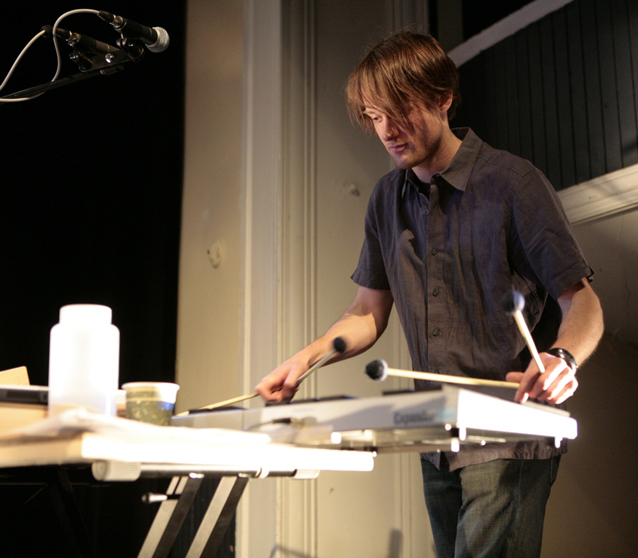 Halsey Burgund playing an electronic mallet instrument with his band, Aesthetic Evidence, at the 2007 Boston Cyberarts Festival. Credit: Michael Duncan. Thank you Ari for sharing such an intriguing project. Although my voice is the antithesis of lyrical, I hope others will consider lending their voice! You should definitely contribute your voice, Liesl! Everyone’s voice counts. 🙂 Thanks for listening.